WASHINGTON — A joint effort by Amazon and Lockheed Martin to provide ground station services to satellite startups could pose a competitive threat to other startups offering similar solutions. During a presentation at the AWS re:Invent conference Nov. 27 in Las Vegas, Amazon Web Services (AWS) announced a partnership with Lockheed Martin to provide satellite ground stations as a service, similar to other cloud computing applications it offers to its customers. The AWS Ground Station service will use a network of ground stations called Verge developed by Lockheed. The creation of AWS Ground Station was based on feedback from customers who use other AWS cloud computing services, such as storage and processing, for satellite data. “What these customers tell us all the time is that it’s not so simple dealing with satellites if you actually want to be able to upload and download data,” said Andy Jassy, chief executive of AWS, during the presentation. Jassy described AWS Ground Station as the “world’s first fully managed ground station as a service,” accessible to AWS customers in much the same way as other services. Customers can schedule communication passes through the system, paying for only the services they need. 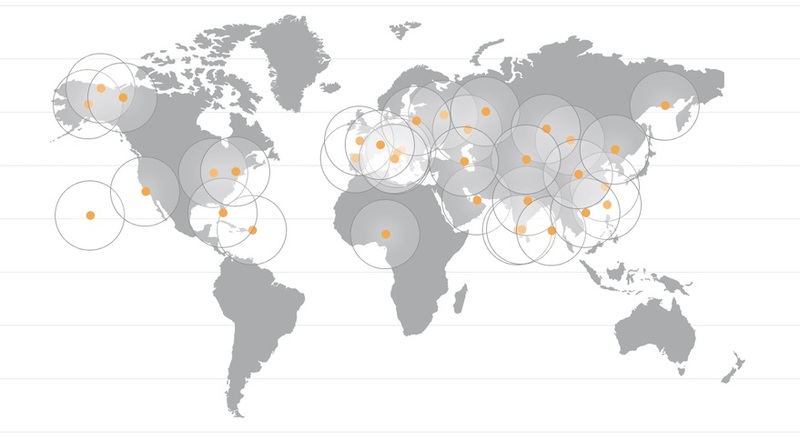 The new service pits AWS against a number of major operators of satellite ground stations. However, it may be a more competitive threat to some startups offering similar services but without the resources of Amazon or Lockheed Martin. One such company, Seattle-based RBC Signals, offers satellite customers access to more than 60 antennas in over 40 locations around the world at a variety of frequencies. The company’s network includes antennas from a group of partners, taking advantage of excess capacity on them, along with its own ground stations, such as one the company completed in September in Alaska. Christopher Richins, chief executive of RBC Signals, saw the AWS Ground Station announcement more as a confirmation of its own business model than as a competitive threat. “This is a wonderful validation of the magnitude of the opportunity in managed ground station services for satellite operators,” he said in a statement to SpaceNews the day of the announcement. RBC Signals is an early-stage company and is currently raising a Series A round of undisclosed size. In October, the company hired as president and chief operating officer Ron Faith, a former executive with companies working in the cloud computing and communications fields. Tokyo-based Infostellar is another startup that offers ground station services to satellite operators, using a cloud computing platform to link those operators with a network of ground stations with excess capacity. The company raised $7.3 million in a Series A round in September 2017. Richins held out the possibility of some kind of partnership with AWS Ground Station or the Verge network of antennas. “As with all ground station owners, we would be pleased to add AWS Ground Stations to the RBC Signals network and look forward to collaboration in the future,” he said.